Give you and your guests a grand welcome to your home with a personalised doormat. All the doormats are crafted from a high quality tufted coconut fibre which is perfect for those muddy boots! The doormats are professionally dyed using exterior paints made to be durable and stick to the coir, whereas some others on the market are made using food dyes and not made to last. 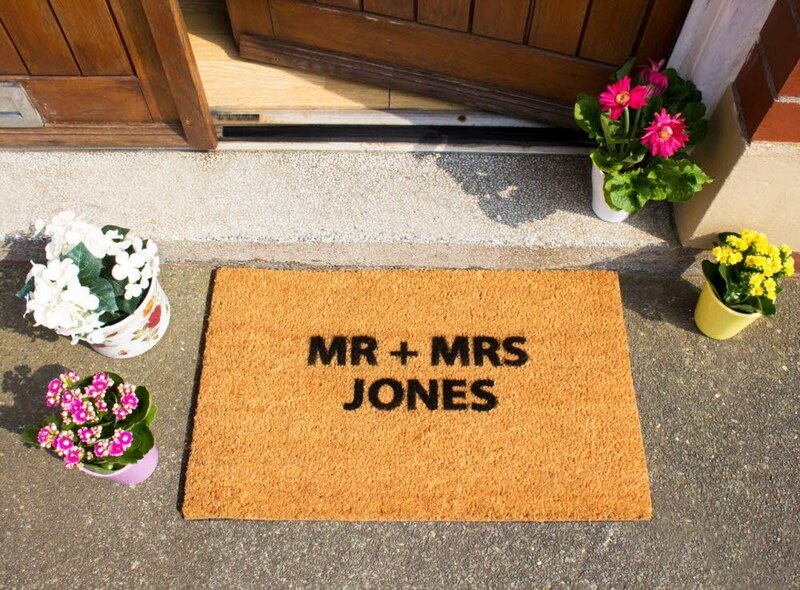 Some ideas are personalised name doormat, house name doormat and favourite quote doormat! i.e. 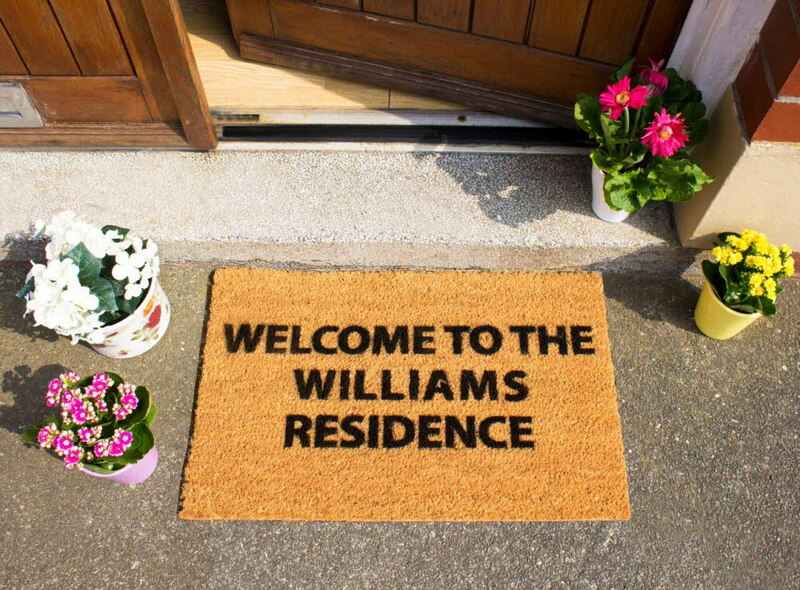 Welcome To The Williams Residence. The doormats measure 60 x 40cm. - Hand finished in the UK Choose the perfect design for you & your home. You can have up to 3 lines of text with a maximum of 10 characters per line. Please ensure you stick to these guidelines. If you go over this amount it will delay the production of your order. Please allow between 2-5 days for delivery. To maintain your doormat simply brush, shake or hoover the mat to maintain it's best appearance. Keep sheltered for longest keep!